Naturally flavored with other natural flavors. Tasty Tips! Add Peppermint Mallows to your favorite fudge recipe. 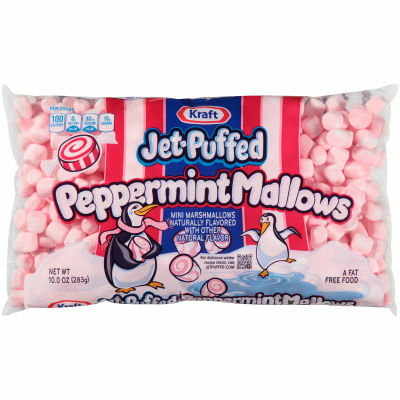 Sprinkle a few Peppermint Mallows into a warm mug of hot cocoa. Top frosted cookies or cupcakes with Peppermint Mallows.